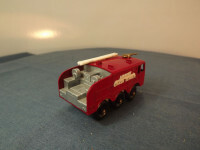 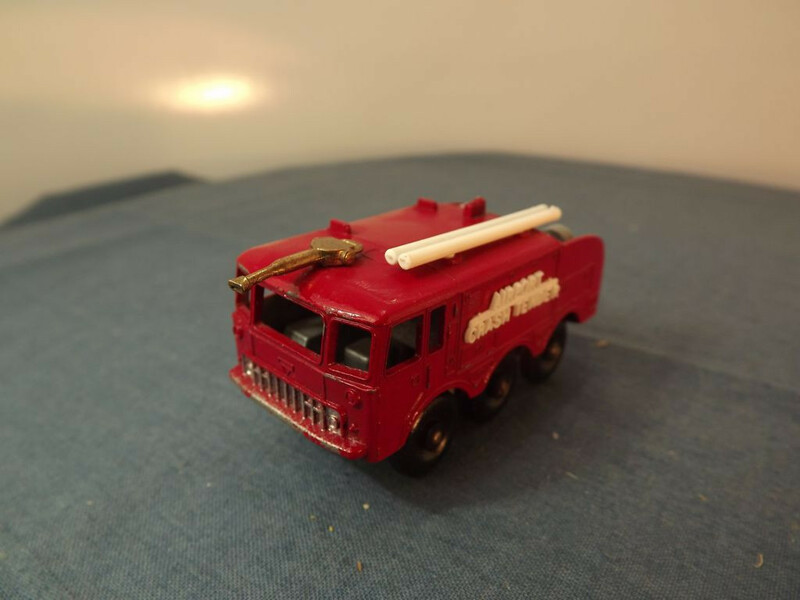 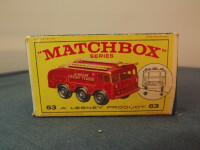 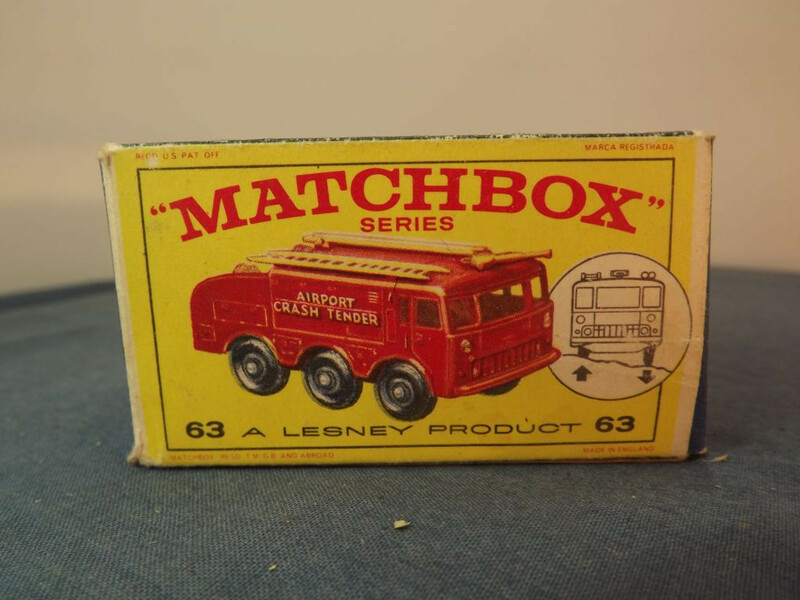 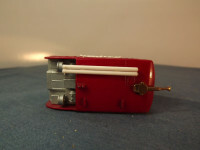 This model is the Matchbox 63-b-2 Foamite Crash Tender in red. 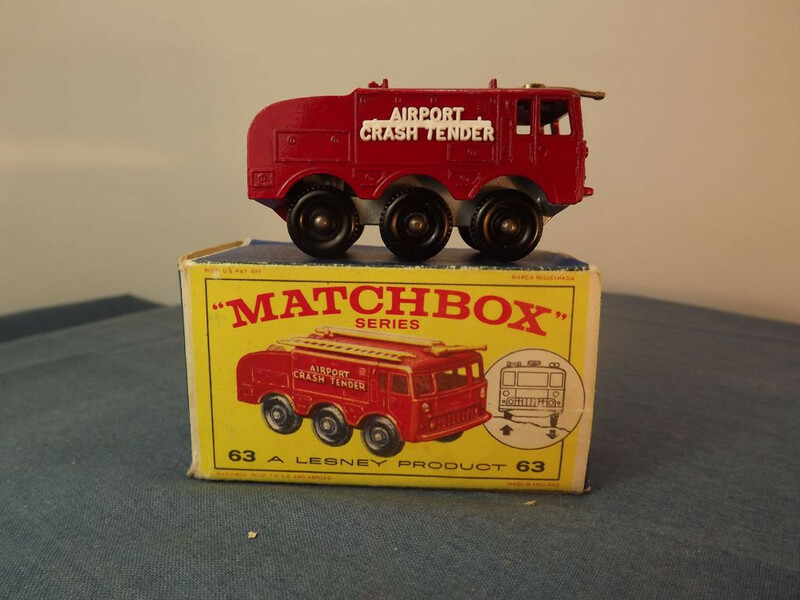 The tender has gold nozzle, White springs, two base braces, and carries white plastic "Airport Crash Tender" signs on each side, white hose piep on the roof, and is missing the ladder. 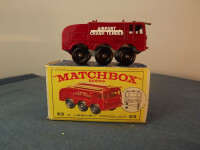 It comes with its original type E1 box. 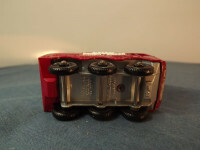 Base Details: Base has 5 lines of text parallel to the axles: "Foamite, Crash Tender" on two lines behind the front axle, and "Made In, England, By Lesney" on three lines behind the middle axle, and the reference number "No. 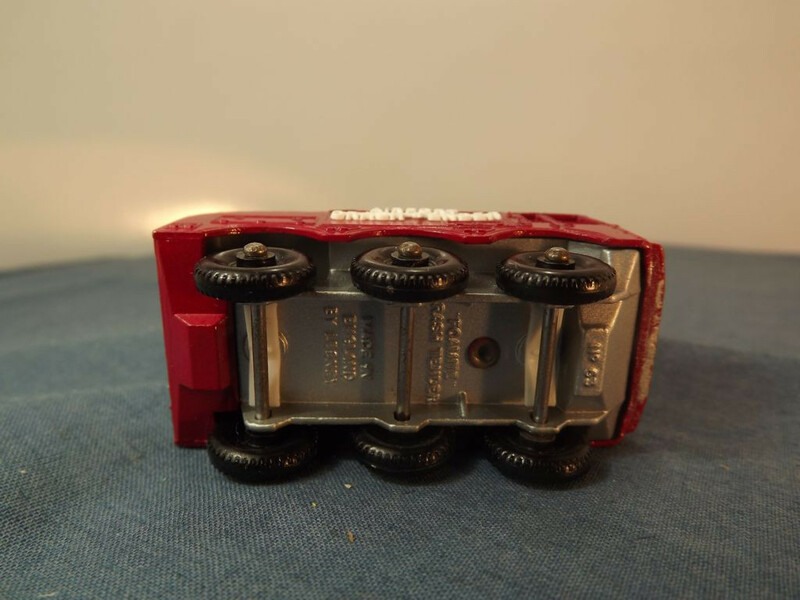 63" parallel to the front axle, at the front, forward of the axle. 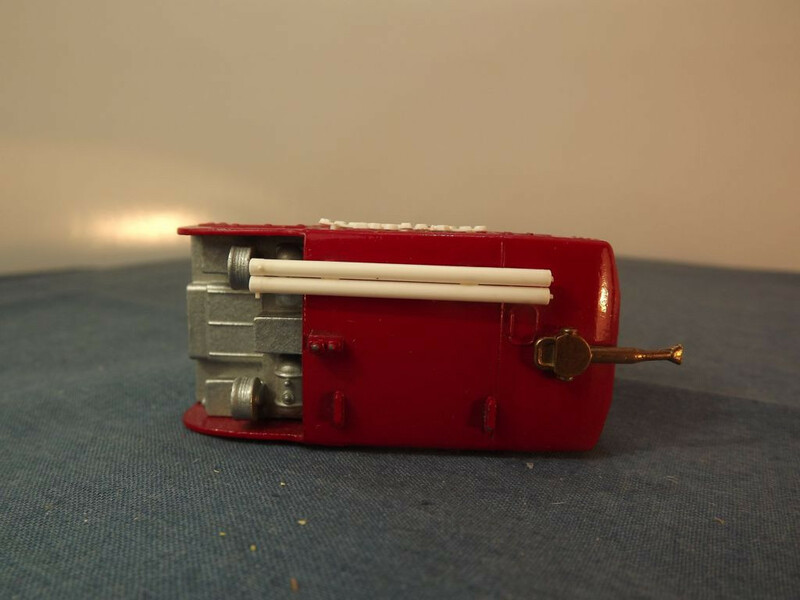 Base Fitting: One machined rivet.